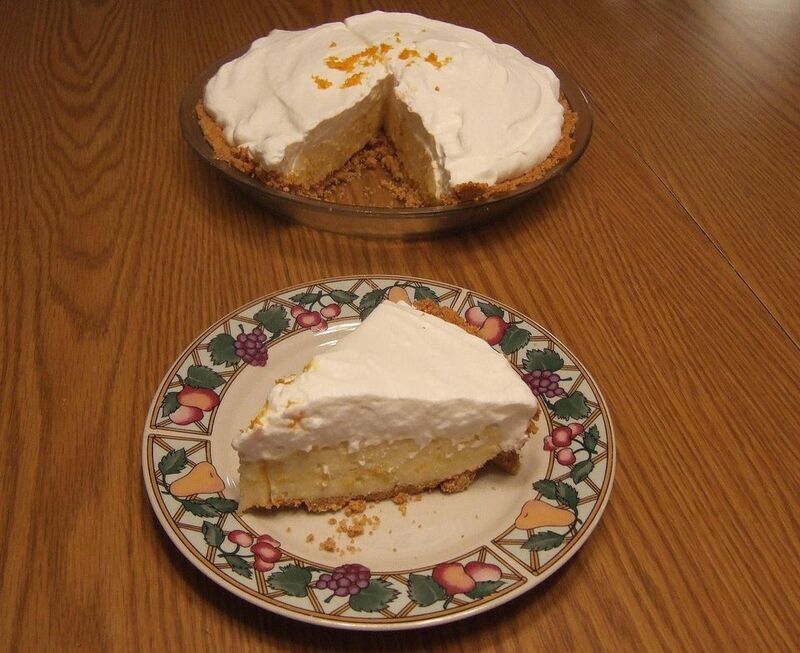 Here is a recipe for Orange Icebox Pie. It's the perfect cool and creamy dessert to serve on a warm summer night. Beat cream cheese until creamy. Beat in sweetened condensed milk and frozen orange juice. Beat whipped cream and sugar until stiff peaks form. Fold one half whipped cream into orange mixture until white disappears. Scoop into pie shell. Top with remaining whipped cream. Sprinkle with optional orange zest.